Contact lenses are widely used for their convenience and comfort. They allow you to see clearly without the hassle of wearing eyeglasses. 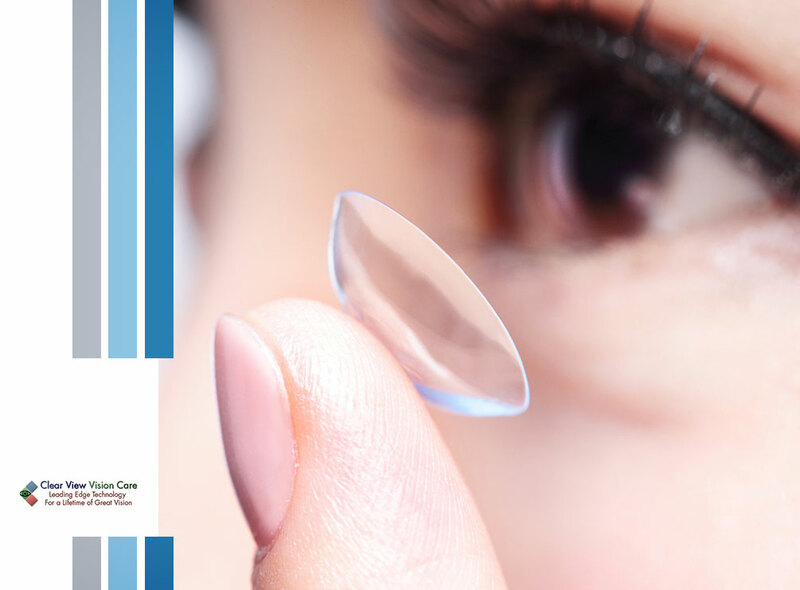 In this post, your local eye doctor from Clear View Vision Care answers frequently asked questions about contact lenses. Q: At what age can I start wearing contact lenses? A: Contact lenses are used to correct different vision problems like astigmatism and presbyopia. According to studies, children as young as eight who are capable of handling and caring for contacts can wear them. The main factors to consider when it comes to age are maturity and hygiene. Q: How do I know contact lenses are for my eyes? Are they safe? A: Only your eye doctor can define if contacts are applicable for your eye condition. Contact lenses are safe as long as you follow their prescribed care instructions. When not cleaned properly and handled with care, your eyes may experience infection and complications, like corneal ulcer or microbial keratitis. Q: Can I wear my contacts for sports? A: Sports vision doctors say contact lenses are the best vision correction option for athletes as they can improve depth perception, peripheral vision and eye-hand or foot coordination. They can stay in place while you’re moving and remove the risk of glasses-related injuries. Q: Can I sleep in my contact lenses? A: It depends on the type of lenses you are wearing and the recommendation of your doctor. Other factors your eye specialist will consider are the composition of your tear film and your eye’s condition. A: Orthokeratology or Ortho-K makes use of specially designed rigid gas permeable (RGP) contact lenses to alter the curvature of the cornea and improve eye focus. Overnight Ortho-K lenses are the most common type of this treatment but there are also daytime wear lenses. The lenses are worn in your sleep for at least eight hours. They are then removed when you wake up and it allows you to see clearly during the day. Q: How long does the effect of Ortho-K last? A: For some patients, the vision correction effects can last throughout the day and for others, it’s shorter. It’s also temporary and the lenses should be worn accordingly to maintain their effects. Your eye doctor can determine which schedule works best for you. Talk to your eye doctor regarding your vision concerns and so you can be prescribed with the right contact lenses. At Clear View Vision Care, we are your local provider of vision therapy and Ortho-K lenses. We can help you determine whether Ortho-K is suitable for you. Call us at 520-327-9411 or complete our online form to set an appointment. We assist patients with eye care needs in Tucson, AZ.